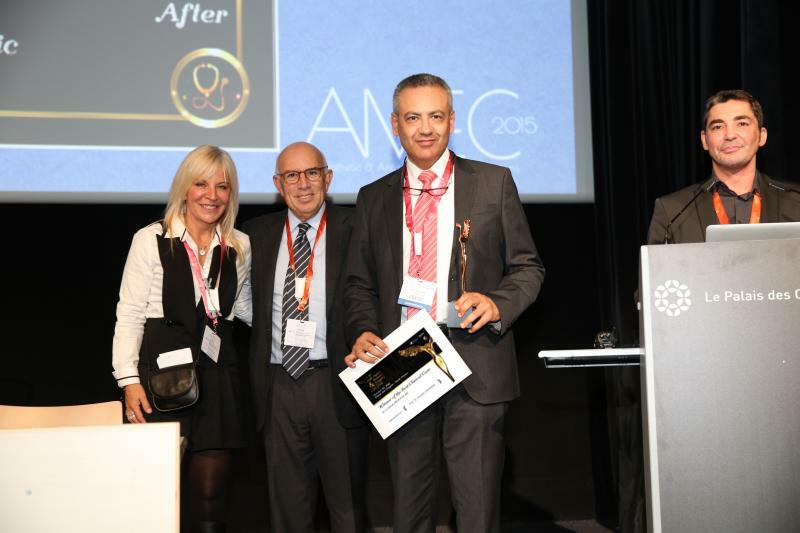 Highest standard of patient care as described by our patients. 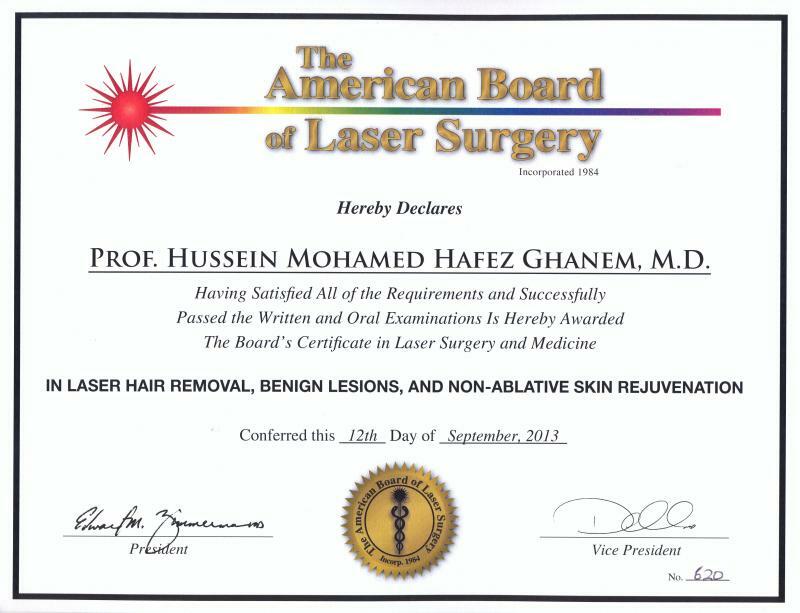 Please click to read our patients' comments. 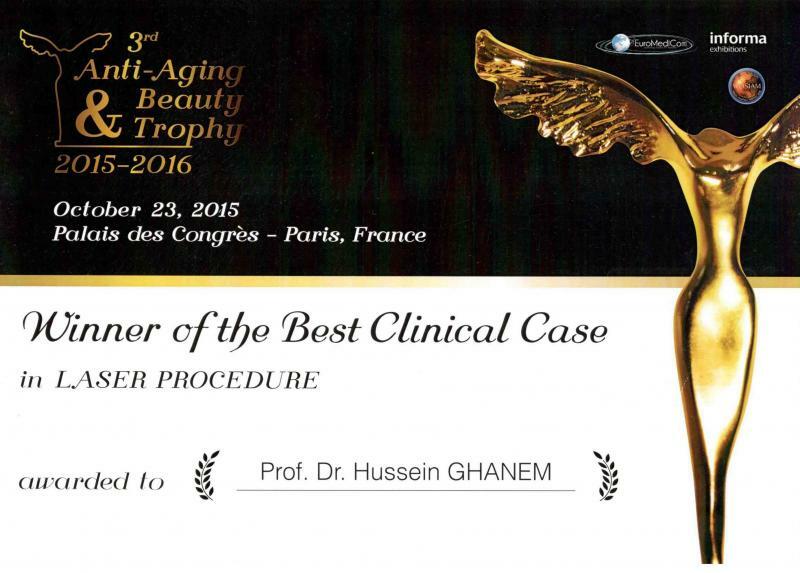 Prof. Hussein Ghanem the winner of the best Laser treatment award 2015-16 during the annual European Congress in Esthetics & anti-aging Medicine, held in Paris. 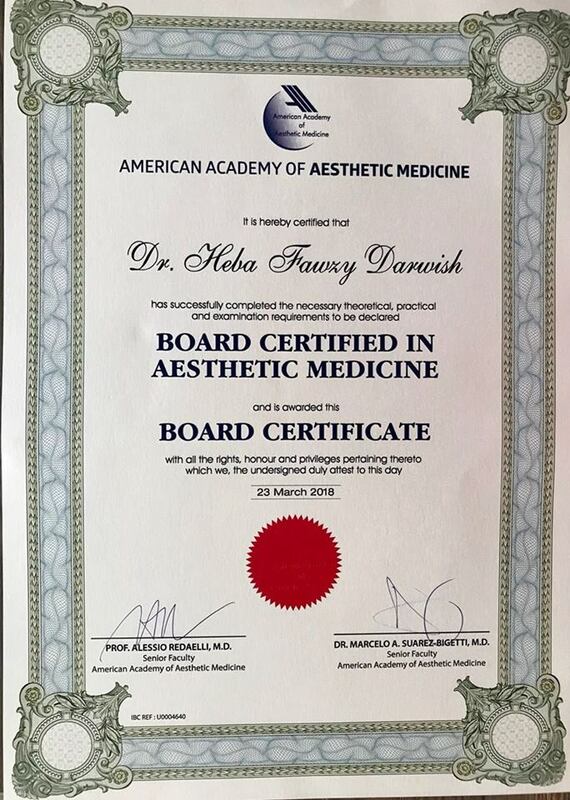 Dr Heba Darwish obtained The American Board of Aesthetic Medicine. 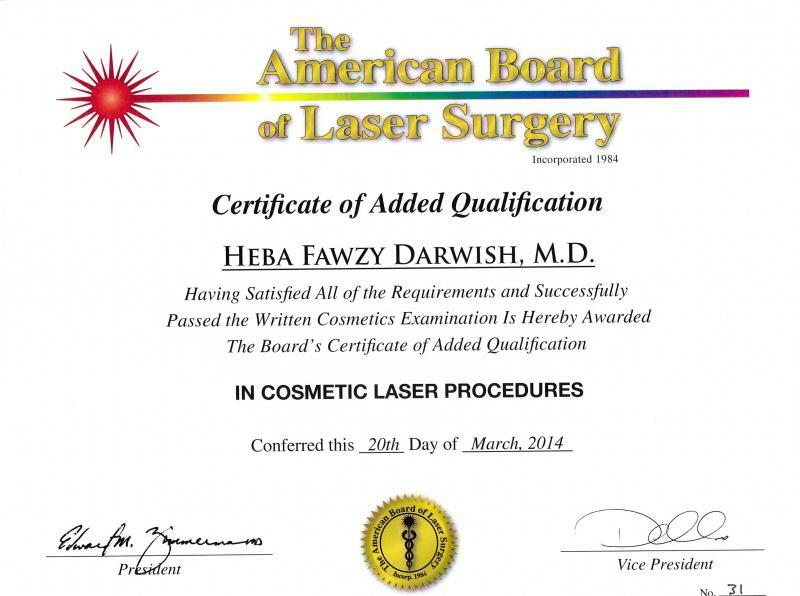 Dr. Ghanem & Dr. Heba Darwish obtained the American board certification in cosmetic laser procedures as well as the National institute of laser sciences certification.